There are a number of factors involved in purchasing online auto insurance. A shrewd consumer should take into account all the different possibilities available with an auto insurance policy. The consumer needs to also consider what may or may not be likely to happen in the environment in which he or she drives. These factors affect the kinds of policies that a consumer might include in his or her auto insurance. Find the best auto insurance rates by comparing among all the top insurance companies. Simply enter your zip code to begin! Each of these types of policies should be compared between the various companies which offer auto insurance. This is an important aspect of any auto insurance policy. Everyone likes to think that they are good drivers, but accidents can happen to anyone. If the accident is your fault, then you will have to pay for it. This sort of minimum coverage is required. However, minimum coverage does not pay for bodily injuries and deaths that you may cause in such an accident. While insurance pays out the minimum, the driver will be stuck with medical bills. This coverage will protect the insured form these costs and also provides a legal defense. This sort of insurance will pay for the driver’s and the passengers’ injuries, regardless of who was at fault. This is good to have because it will pay out while you wait for the other driver’s insurance. There is often a long wait for the other insurance to pay out. When you have your own insurance policy covering these incidents, you do not have to worry about the long wait for financial assistance. Like the bodily injury and liability coverage, this addition to an auto insurance policy will pay for damages that the driver causes. In this case, the policy covers property damage, such as that done to another car or to some structure that the driver’s car struck. When a driver’s car is struck by another car, a long period of legal wrangling between insurance companies and the police begins. When a driver buys collision insurance, he or she does not have to wait for this legal wranglingto end to figure out who is going to fix his ir her damaged car. Collision insurance will fix it and, if the other driver is at fault, damages can still be collected. In the meantime, the driver with collision insurance does not have to wait to get the car fixed. Even with the laws regarding minimum insurance in place, sometimes people will drive illegally without insurance. When they have accidents, all the injured driver can do is sue. This does not help because, very often, people with no insurance do not have any money so there is no remedy for the damage done. By taking out an uninsured motorist policy, drivers ensure that they will receive money form their own insurance company in these cases. Even when other drivers have minimum insurance coverage, this is usually only enough to pay for a fender bender. Under-insured motorist coverage can complement the minimum coverage that an offending driver has and cover the remaining costs of damages. A lot of things besides accidents can happen to a car. Cars can be stolen, destroyed by fire, ruined in floods and horribly vandalized. Comprehensive coverage can assure a driver that his or her car will be fixed or replaced if some other type of unforeseen damage occurs. Some auto insurance companies offer this form of emergency assistance. In the case of a flat tire, an accidental lockout or some other incident besides a car accident which incapacitates the insured’s vehicle, this policy will provide quick assistance that may involve changing a tire, opening a car out of which a driver has been locked or even towing the car back to his or her home or a repair shop. When a driver’s car is in repairs, whether he or she is at fault or not, this addition to an insurance policy will allow the driver to rent a car to provide transportation while the original car is in the shop. The driver does not have to worry about the cost because this policy guarantees reimbursement. 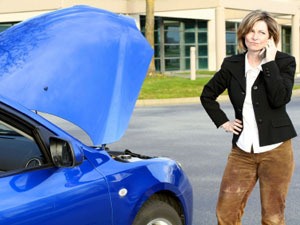 difference is that mechanical breakdown insurance is usually cheaper than an extended warranty. Certain companies will offer you the chance to repair your record if you have been at fault in an accident or earned traffic tickets. By passing a certain amount of time without an accident or a ticket your rates can begin to lower in response to improved driving habits. This can help save you money if you have a bad record when you come to the insurance company. Many of these additional policies can be purchased for just pennies a day. Sadly, many drivers will omit them from their insurance in order to save money. Anyone interested in the power insurance has to protect should carefully review an insurance company’s rates for all these protections. To get the best rates on these extra features that can be added to an insurance policy, drivers should follow some helpful steps. Compare the rates of several agencies and specifically ask each of the agencies about any discounts they may have. It is unlikely that they will apply discounts automatically. Leave their old insurance companies by submitting written cancellation. Simply failing to pay the bill will effect a cancellation. However, it will also reflect poorly on credit scores and raise insurance rates. Examine the deductibles. Each feature on an insurance policy has a deductible. When taking out the insurance, drivers should adjust the deductible to a level that they can comfortably pay out of pocket. Finally, insured drivers should not take risks with their vehicle. This means that they should not lend their vehicles to friends, since they are not covered by the insurance, and they should never drink and drive. These actions can have terrible effects on insurance rates. Save time and money on your auto insurance policy today by comparing car insurance quotes online. Enter your zip code below to receive free quotes today!